After your initial Instagram launch, its possible your Instagram content is beginning to feel a little bland and boring. Getting creative with your content will ensure that your brand stays fresh and relevant while driving in new and current followers. Coming up with new post ideas can feel like a challenge, but it’s something that will take a little creative thinking. These tips should leave your Instagram content looking fresh and exciting while staying true to your brand. Behind-the-scenes video and photo Instagram content is a great way to draw in viewers. It needs to be highly visual and engaging content so that you can entice the viewer and create a sense of intrigue. The odds are pretty good that people will be interested in how your brand works on a daily basis. 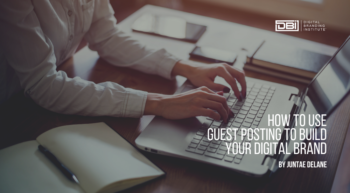 If you choose to post a behind-the-scenes picture, make sure that it highlights some of the unique happenings that occur within your business. Show pictures of a retreat, a company event, or a silly office tradition. Making your brand unique will inspire curiosity. Most Instagram users will usually judge your Instagram content by a single picture instead of the full story you’re trying to create. This is important to know because your Instagram profile is where you will ultimately want your users to end up because it’s where your website link is located. So if you get people to visit your Instagram profile, it’s important to remember that they won’t be looking at your website link first. They’re going to be looking at your images and videos all together. Your Instagram content doesn’t always have to be amazing. Sometimes you might have a dull or plain piece of content with a crazy story behind it. At this point, you can post Instagram content where the story drives the image. Your brand can move followers through the image and context of your post by explaining why this image is significant and what it has to do with your brand. This type of post can be genuinely engaging. If so, people will read it, follow you, and look for similar content in the future. Sometimes it’s important to remember that your product is what makes your brand unique. Take a little liberty and get creative with your products. This will give your followers good ideas and show how your product can get them there. You don’t have to use stock photos with their perfect lighting. You can push creative Instagram content and show your followers how people actually use your product. User-generated content can be one of the most potent content sources on social media. On Instagram, you can use user-generated content to promote your products and services through others’ voices. Brands on Instagram who use user-generated content can see as high as a 50% click-through-rate over their own branded image. Plus, using user-generated Instagram content will interact with and engage your followers, all while promoting free beautiful content. Your brand should value positive communication between you and your followers. A study by Sprout Social showed that people are 75% more likely to share content with brands that they have positive social media interactions with. You should make your audience feel comfortable and empowered by your brand’s message. Promote positivity, and it will take you a long way. People love a good throwback, that’s why throwback Thursday and Flashback Friday has become some of the most popular types of content on Instagram. However, as a brand, you can take your flashback one step further by giving a history lesson about your brand. This will allow you to post ideas and promote content based on your history. If you’re a brand that’s about to release a new service or product, it’s a smart idea to consider how you can hype up your announcement. Instagram is an excellent platform for promoting teasers. Getting people interested and hyped for your new release using Instagram content can be a great way to connect with your audience. Plus, this is an excellent source of content for people who release a new product every month. Using your Instagram content to ask a question is one of the best ways to drive up your engagement. If you’re overly promotional, it can be off-putting to your followers. However, asking a question will invite your followers to engage with you and make them feel like you value their opinion. Asking a simple question will be a small amount of engagement on your part that can promote hundreds of comments per post. This level of engagement will also make it easier for you to track positive and negative sentiments toward your brand, as well as find those you need customer support or who are ready to talk to your sales team. Just like you want to promote a positive message, it’s also a good idea to make your followers laugh and genuinely enjoy your content. Your Instagram content is a great way to provide positive and humorous content to your followers. This can be in the form of memes, funny videos, or inspirational quotes. Additionally, it will give your brand a chance to show off its humorous side. While this may not apply to every brand, it’s usually possible to show some humor without going overboard. This will help you come off as less robotic and stale. A newer trend on Instagram is using a specific theme with your content. A video series is a favorite way to create interesting content on Instagram. You can use your videos to educate your audience about your products through a video series. Doing it this way will make it more engaging and will make your followers be more likely to stop and watch your video while scrolling through. It’s also a fun idea to use a video series to tell a story to your audience. This idea will keep your followers coming back for more information, or even just to get more of the story. Finding an influencer to take over your profile can give new life to your feed. If your Instagram content is starting to get a bit dull, find an influencer who can create some hype for your brand. Or they can help you build brand awareness and get your followers to trust your brand more. A study showed that that influencer marketing efforts could produce up to 11 times higher return on investment when compared to traditional marketing efforts. Additionally, your influencer doesn’t need to be a major celebrity to be able to promote your content. Find an influencer who is popular on social media and whose audience will align with your brand. Before choosing your influencer, be sure of your target audience’s hobbies and interests. Then select an influencer who will be able to drive your brand on Instagram. 7 out of every 10 hashtags used on Instagram are branded. This should be reason enough to want to start using branded hashtags in your Instagram content. These hashtags will engage both new and current followers. With the right tools, your hashtag campaign can help to increase your brand recognition and allow you to monitor who’s talking about you. Hashtags also can go viral and spread quickly. This is one reason why so many brands like to use them. Even before you start your visual content strategy, you can start thinking of a branded hashtag your company can use in your Instagram content. These hashtags are creative ways to interact and spread your Instagram content to your target audience. You can push followers to a specific site using social media. At least 30% of referral traffic now comes from social media. This means you can use your Instagram content to drive traffic to your website. There may only be one link for you to use on Instagram, found within your bio, but its possible to make the most of it. You can continuously update and remind your audience where purchases can be made, or where they can go to find out more information. Remember to keep your audience updated and post content that will drive them to a specific place, like your blog post. The success of your Instagram account may seem small when compared to the success of your website, however, everywhere that your brand name is located should only bring positive attention to it. This means that you can’t leave a stale Instagram account for anyone to stumble on and be left with doubts as to the integrity of your brand. Get creative and keep finding new ways to make your Instagram account an essential part of your digital brand identity. What kinds of Instagram posts have been your favorite?